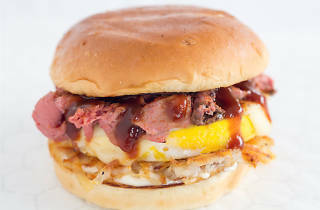 Calling all breakfast lovers: Top Round Roast Beef is now serving breakfast for those of you up before 11am. The early bird menu, which will only be offered from 6am (yikes) to 10:30am, includes a variety of sandwiches. 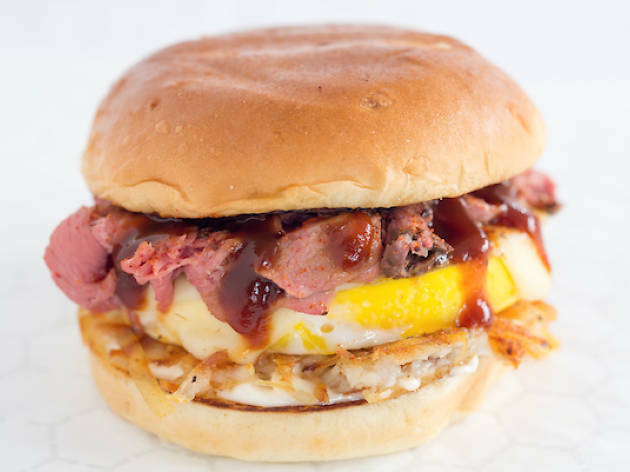 Try the steak and egg, a take on a BLT or a whopping pile of fried egg, hash browns, your choice of meat and Round sauce sandwiched between an onion bun. Although you can try these anytime, set an early alarm for February 9th, and you'll be rewarded with a free breakfast sandwich. Get there between 8:30 and 10:30am and you'll be glad you didn't press the snooze button. Is there a better way to start your day?